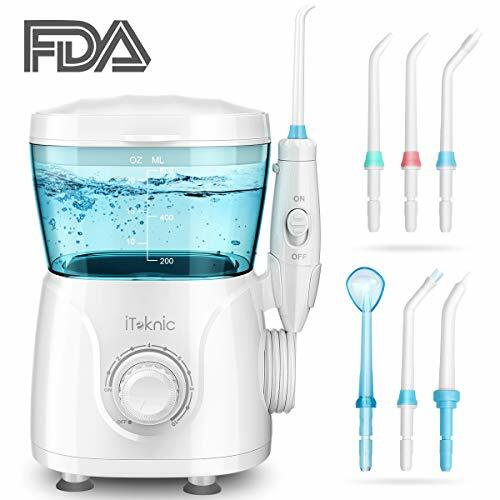 To make and keep teeth heathier, the iTeknic Power Irrigator can not be missed. 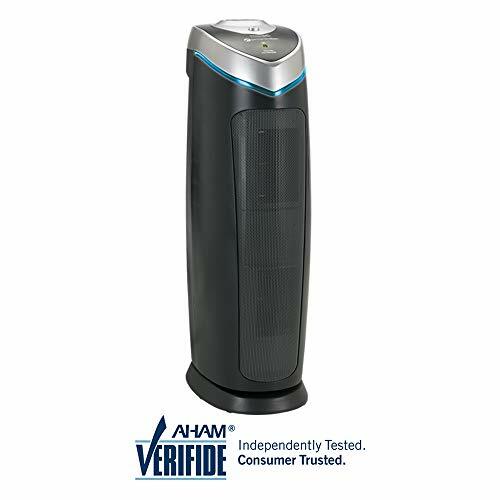 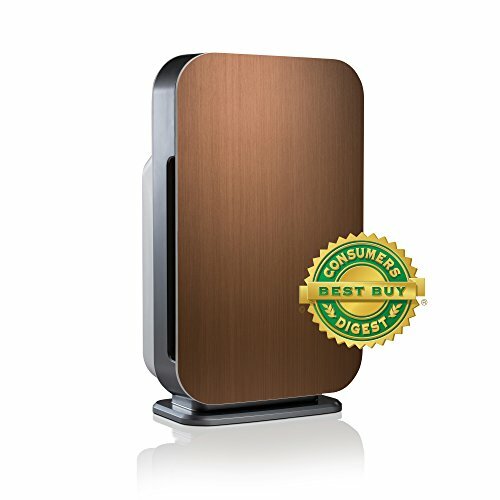 It can remove 99% of all food particle and debris found between the teeth and gum efficiently. Ensure that your teeth and gum will be hygeian and breath be fresh for a long time. The water flossers will also benefit people with braces, implants, crowns, bridges, and veneers etc. 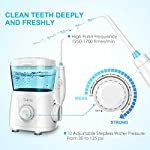 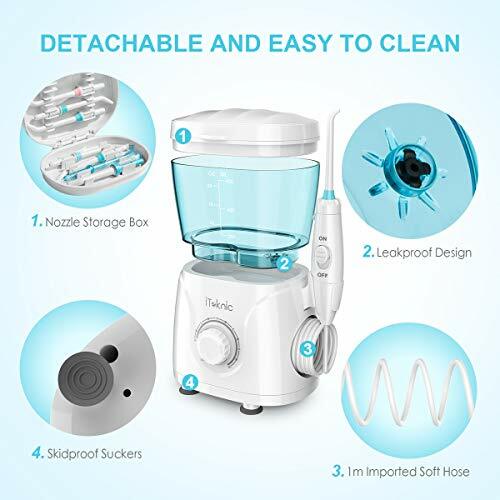 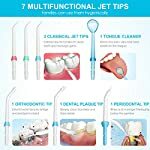 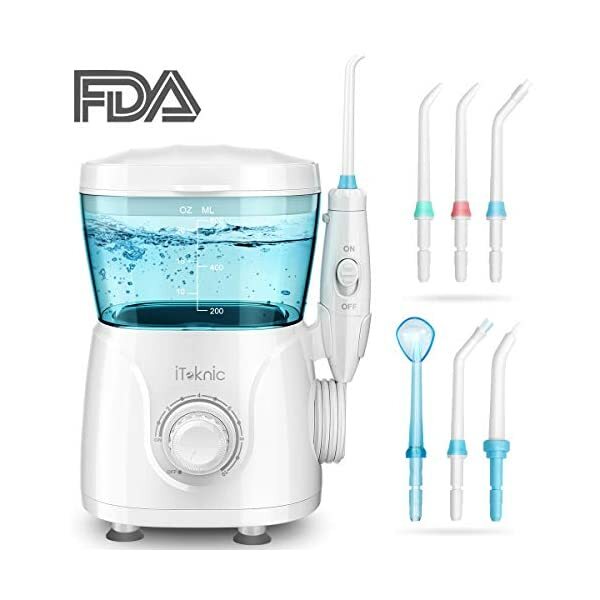 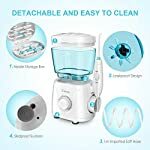 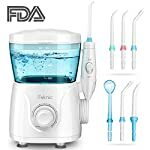 This water jet irrigator has 600ml Large Removable Water Tank, 1 Neat and Clean Storage Space for Oral Floss Jet, 7 Multifunctional Dental Water Jet Tips, 360° Rotatable Nozzle, 1 meter FDA approved soft Imported Hose. 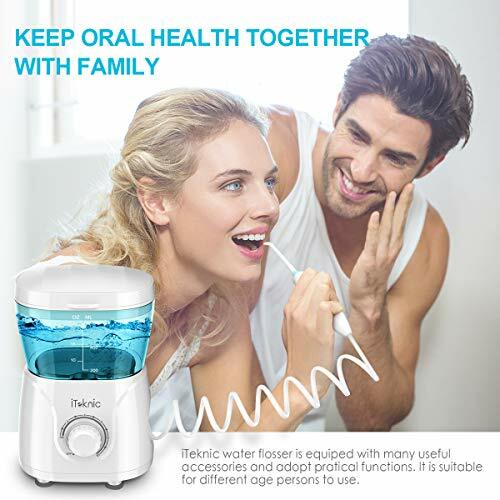 Just wash teeth freely with your family everyday. 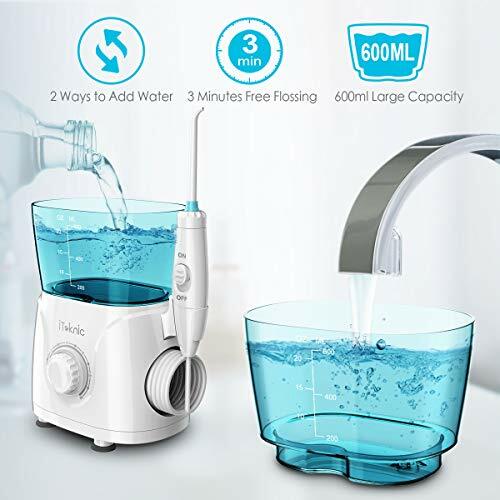 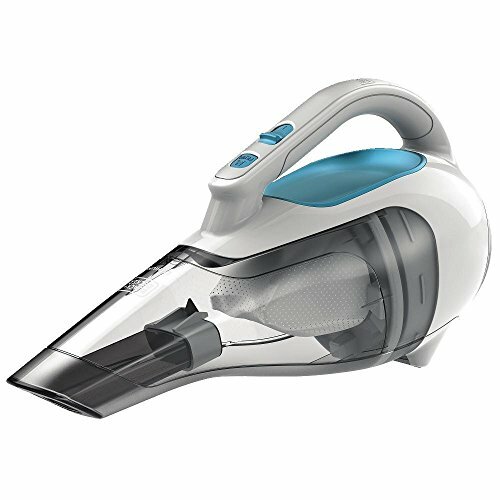 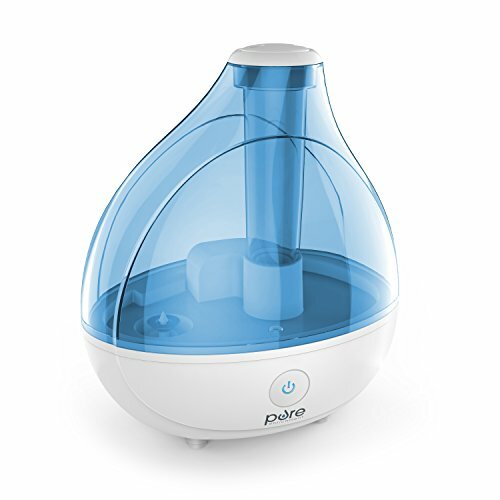 10 Adjustable Stepless Water Pressure from 1250-1700 times/min, Leakproof and Waterproof Design, Detachable Accessories for easy clean, One-button to Control Switch and Water Pressure, 1 Pause Button to control water flow on the Ergonomic and Anti-slip Handle. 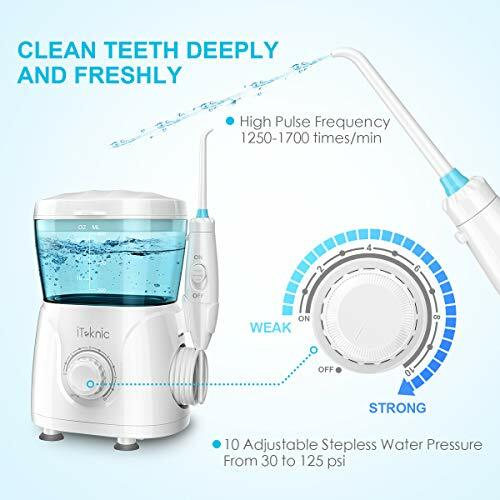 iTecknic power irrigator for tooth cleaning is made of Safe ABS Material, and it has got many certifications such as IPX4, LFGB, FDA, CE, FCC, RoHS etc. 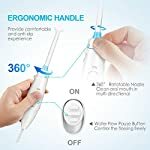 So people can use it safely.